Cytomel T3 is a synthetic hormone which mimics the one produced by the thyroid. It was originally used to treat people suffering from hyperthyroidism, by helping overcoming the insufficiency of the gland that does not provide the organism with the necessary quantity of T3. Bodybuilders also take T3 for weight loss. Indeed, it helps the phenomenon of lipolysis rise: there is no need to be on a diet, and it allows athletes to better burn their fat and lose weight, without reducing their muscle mass. Most of time, bodybuilders associate the use of T3 by Abdi Ibrahim with the intake of Clenbuterol, because the combination of both is incredibly effective. As part of a dry weight gain, it works particularly well taken together with Anadrol or Dianabol. Finally, in the drying out phase, it is also possible to combine it with a testosterone cure, Primobolan or Winstrol, especially if the dose of T3 is high. Cytomel comes in the form of tablets and must be taken orally. The dosage of T3 depends mainly on the athlete’s goals and experience. However, regardless of the quantity you take, the best time to take the tablets is in the morning, on an empty stomach. If inexperienced bodybuilders use the thyroid hormone in combination with Clenbuterol and possibly testosterone to lower their body fat, culturists with a lot of experience and professionals take it with high doses of testosterone, or they add insulin and growth hormone in their cycle. Used in low dosage in a muscle gaining phase, it increases the phenomenon of protein synthesis. In high doses, cytomel T3 also helps to accelerate muscle gain but without fat, as long as it is coupled with an adequate amount of anabolic agents. For an athlete who just wants to lose some fat, the right cytomel T3 dose for fat loss is half a tablet of 25 mcg to one tablet a day. On the contrary, if you aim for a consequent loss of fat, you have to take a high dose of cytomel T3 to achieve significant results: to activate its catabolic effect, you have to move up a gear with a dose of 50, 75 or 100 mcg every day, which corresponds to two to four 25 mcg tablets. Associated with Clenbuterol, the liothyronine sodium is very efficient in speeding up weight loss. You must take at the same time a steroid course to prevent the T3 from becoming a catalyst for your muscles too: indeed, the higher the dosage of cytomel is, the higher the hormone reaches the tissues and the cells of the organism and attacks both fat and muscle. Because of that, and regardless of the intended results, the dose of T3 must not exceed 100 mcg daily. It is also better to limit cures to 12 weeks, in order to avoid disrupting the natural production of the triiodothyronine. We can easily say that the reputation of cytomel to lose weight is not overestimated, but that the product also presents side effects. If the athletes look for the catalyst effect of the product, it is also the first phenomenon which they must be wary. In fact, if we do not take the necessary precautions, T3 pills not only attack fat but also attack the muscle mass, hence the absolute need to combine treatment steroids when you exceed the minimum doses. Along with this adverse effect, other side effects may occur when taking T3 by Abdi Ibrahim. Most of the time, these are linked to an overdose, too long administration time or treatment that is not coupled with anabolic intake. In any case, if any of these symptoms occurs, you must decrease the doses right away: if you feel tired, nauseous, have headache, get sweating or even have fever. If you have heart problems, you should consult a professional before taking cytomel, because it may cause palpitations in some cases. In general, when taking cytomel, it is best to have regular blood tests to constantly monitor the functioning of the thyroid. 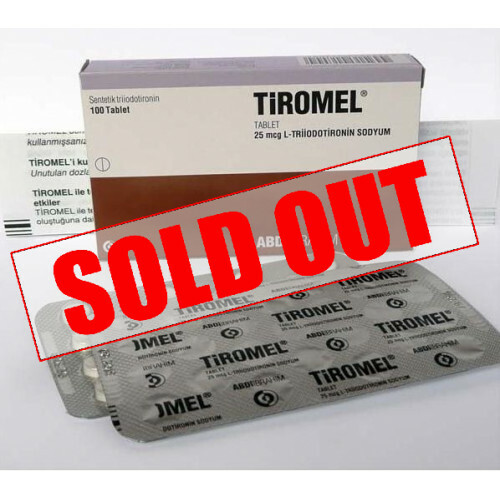 Finally, to avoid counterfeit products and dosage problems, buy your cytomel from an accredited and regularly controlled laboratory: it is for you the guarantee of obtaining a hormone of pharmaceutical quality, correctly dosed, which was made in respect of the standards of the industry. Moreover, if you order T3 on our website, in addition to being assured of receiving a superior quality product, you benefit from a very competitive price and very favorable purchasing conditions.